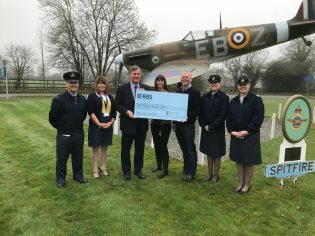 On Thursday 12th April, the SOS trustees were invited to RAF High Wycombe as guests of the station charities committee. Alongside two other military charities we have been chosen to receive their support this year. We are absolutely thrilled to have been chosen and are looking forward to returning to the station later in the year for a couple of events. 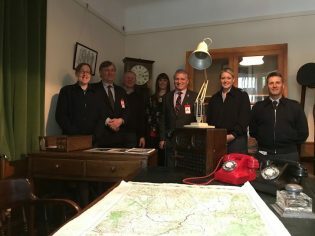 The committee showed us a wonderful day, including meeting the team, a guided tour of Bomber Harris’ war room and underground escape tunnels and lunch at the Bomber Command Officers Mess. We were completed surprised to end the day being presented with a £500 donation to start our year as a chosen charity. Our thanks go to each and everyone involved in making this happen for SOS.